The Clave16+ Chamber Autoclave is a Class N Steam Sterilizer that uses state-of-the-art technology in steam sterilization using a pressure displacement technology that allows a more complete removal air inside the chamber before sterilization. In addition, this steam injection pressure pulsing technology reduces maintenance, improves sterilization effectiveness and increases speed of the sterilization process. The Clave16+ uses the highest quality components and each unit is stress tested to ensure the quality and reliability of the machine. The Clave16 is compact and efficient sterilizer is suitable for any dental, veterinary, podiatry, chiropodist, tattoo, medical and beauty office. The newest addition Clave16+ now has a compressor built in to the system for faster closed door drying. 30 minutes closed door drying. 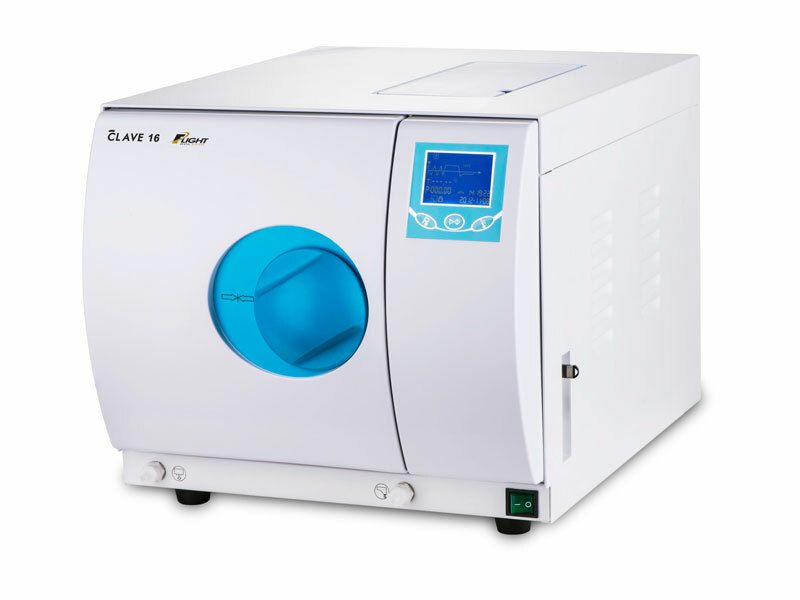 The Clave16+ Chamber Autoclave is a Class N Steam Sterilizer that uses state-of-the-art technology in pressure pulsing steam sterilization using a pressure displacement technology that allows a more complete removal air inside the chamber before sterilization. In addition, this steam injection pressure pulsing technology reduces maintenance, improves sterilization effectiveness and increases speed of the sterilization process. The Clave16+ uses the highest quality components and each unit is stress tested to ensure the quality and reliability of the machine. The Clave16+ is compact and efficient sterilizer is suitable for any dental, veterinary, podiatry, chiropodist, tattoo and medical offices. Easily accessible and easy to fill.